First theme: Some signs of life from BRIC. Remember when Brazil, Russia, India and China were the drivers of world growth and not the drags on it? A new government in Brazil has worked in conjunction with farmers to produce a far more robust agricultural spend. That's helping the big equipment makers like AGCO (AGCO - Get Report) and Deere (DE - Get Report) , as well as the seed companies. Latin America as a whole is better. Every consumer packaged goods company that sells into Argentina and Columbia had far better year-over-year numbers than anyone thought possible. India went into reverse when its government, in an attempt to jumpstart lending, insisted that individuals stop hoarding large bills and exchange them for smaller ones. That attempt to end what's become pretty much a cash economy caused a total nosedive in sales for many companies including Procter & Gamble (PG - Get Report) , which explained how the ban on large sales hurt profits but that the company expects a bounce back next quarter. It will be interesting to see if there is any negative impact on Action Alerts PLUS charity portfolio holding Apple (AAPL - Get Report) , which sells millions of phones in India. How's China? Better than expected almost everywhere, from Otis elevators for United Technologies (UTX - Get Report) to Caterpillar (CAT - Get Report) for all sorts of machines. All of which confirms some of the more positive government data of late. United Rentals (URI - Get Report) appears to be a major beneficiary of the return to drilling; its rental equipment for both pipes and oil pad construction stand out as a clear winner, just as it was a hapless loser in the downturn. Many bears had chosen to target the aerospace industry as one that could be ripe for the mauling. But Boeing (BA - Get Report) didn't comply; neither did General Electric (GE - Get Report) , nor Honeywell (HON - Get Report) . We knew there was a glut in wide bodies but strong demand in narrow bodies. We came away with a more sanguine assessment of both the sales and profits from larger planes. This is a big cycle, with impressive momentum that's still creating a lot of jobs. Of course, at-home dominance cuts in favor of Amazon (AMZN - Get Report) and against bricks-and-mortar sales. Video games remain an outsized winner even as GameStop (GME - Get Report) has become a thing of the past as a way to play Electronic Arts (EA - Get Report) , Take-Two (TTWO - Get Report) and Activision-Blizzard (ATVI - Get Report) demand. Retailers got the double whammy of a tough holiday season and angst about pending border taxes. They've become the worst group in the book and the lethality seem to be centered in the department stores, Target (TGT - Get Report) , Walmart (WMT - Get Report) and, worst of all, the dollar stores. Spending on the home, though, seems to have paused a bit. Whirlpool (WHR - Get Report) talked about weakness. Sherwin-Williams (SHW - Get Report) had good things to say about paint, but Ethan Allen (ETH - Get Report) didn't have much good to say about furniture, at least vs. expectations. The major and regional banks all had good things to say about commercial and residential construction, with the bad loans at lows not for the cycle, but, for many, their entire lifespan. Some may be skeptical of these numbers, but American Electric Power (AEP - Get Report) , the largest transmission company in the country, with big presence in the south and Midwest, confirmed the newfound economic activity. I like its figures more than any bank's and Nick Akins, the CEO, was more than effusive about a definitive turn. 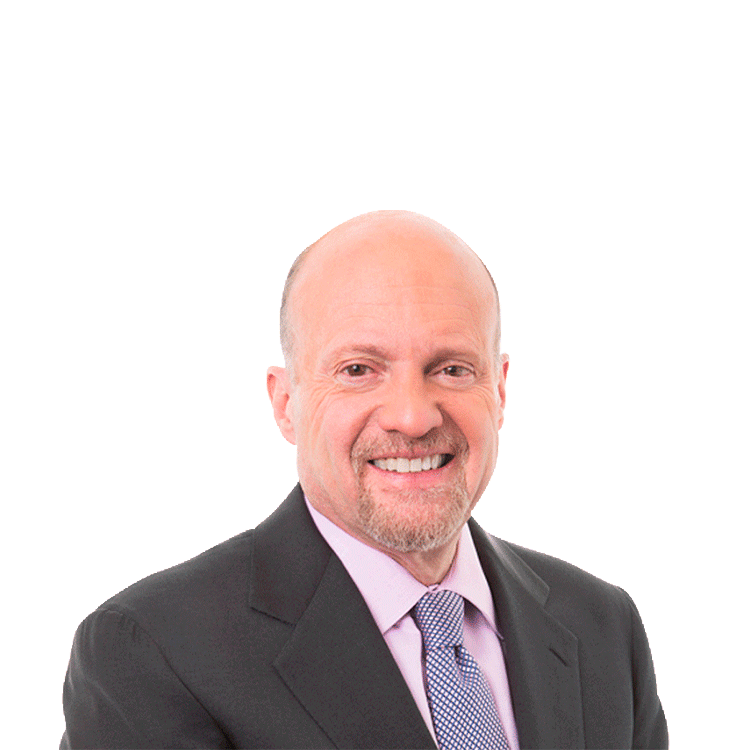 Action Alerts PLUS, which Cramer co-manages as a charitable trust, is long AAPL, AEP, GE and SLB.